I had a pretty laid back weekend. Let’s recap, shall we? 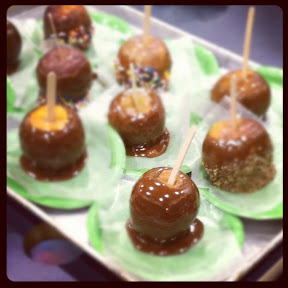 Friday at work, we had a Fun Friday with caramel apples and cotton candy! I DID enjoy a caramel apple! After work, I did my Friday routine. To the gym to swim for 30ish minutes, then hot tub, sauna, and a cold shower. I love it. 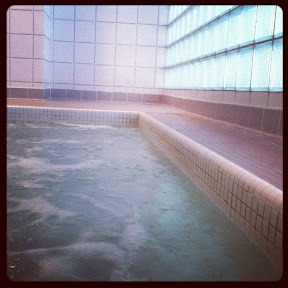 It is so nice to do a relaxing workout, then relax in the hot tub and sauna. Well, the pool was really busy, so I couldn’t swim laps…so I just did some water walking/water weights in the free swim area because all the lanes were full. It was ok. I DID get the hot tub to myself! I put some music on my iPhone, and chilled. So relaxing! On the way home, I picked up some food from Green Papaya (fried rice, noodles, and some chicken and veggies…and egg rolls!) and had myself a nice mixed plate. 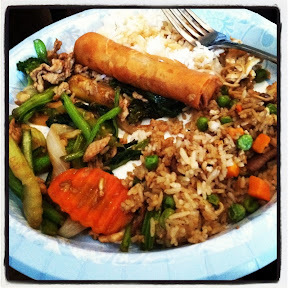 My MIL came over and we ate and watched the Olympic opening ceremony. Tyler was a little late coming home (he had a meeting at the RC track) but we all stayed up and watched the Olympic parade. Saturday, I got up and hit the Fort Smith Flea Market. They have it every 2 months. I got there right when it opened. I brought my Fiesta collector’s book to make sure I wasn’t overpaying for anything, and that proved to be a great strategy! Vendors were calling me over saying “Fiesta here!” and then they would give me a discount to sell me their wares! Good stuff! I got a vintage gray dessert bowl and a seamist small pitcher. 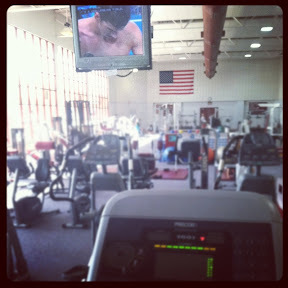 Then I hit the gym for 1.5 hours of Cardio Dance Party and then I did a little bit on the cross trainer and watched the Olympics. 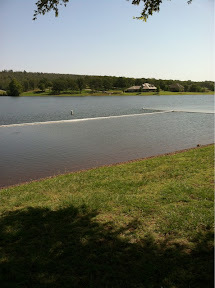 After the gym, I cahnged into my swim suit and picked up Mikey. He and I had some quality time at the lake getting some sun. We were the only ones there. He was soo funny! I couldn’t get a picture, but he laid in the water right by me…like he was sunbathing too! Saturday I just napped and watched the Olympics all afternoon and night. A good day. We had lunch and went to my MILs for a little bit. Then we came home and I ran to Walmart and to get gas for the lawnmower. 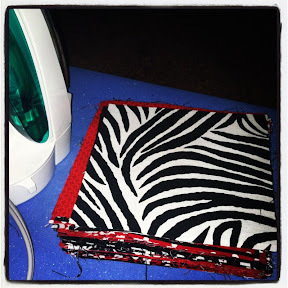 Then I started on a quilt for my best friend Alden. I cut 108 squares, arranged them, and ironed them. Now I’m watching the Olympics (surprise, surprise!) and hanging out with Tyler. Do you like the Olympics? I have it all recording on DVR, so I can catch it all at night! Go Team USA! I bet Mikey looked so cute sunbathing with you! Haha! He is precious. 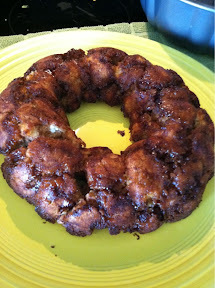 And that monkey bread looks amazing! Nothing beats a tiring week than soaking in a hot tub. Time to relax.